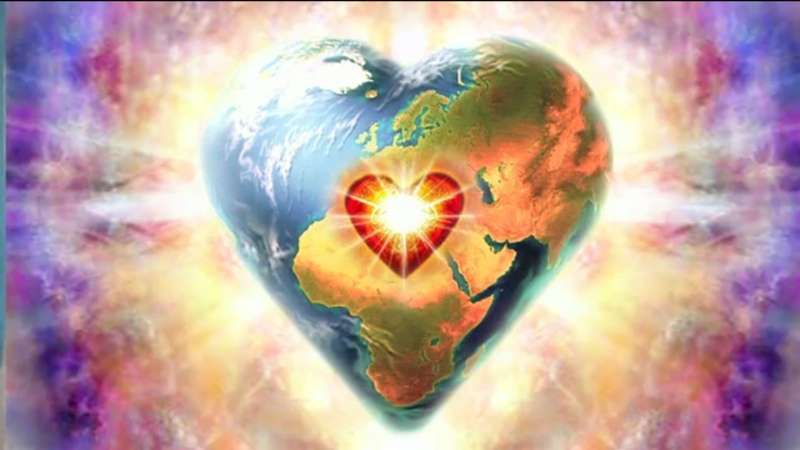 "Seeing" With Your Heart | Ascension 360º - Navigating the New World Energies! I am so delighted that you are receiving this gift of the heart. As we enter the second decade of this oh, so pivotal second millennium, we find ourselves in a very new world indeed. This is a world of new energy and is governed by the heart – as we have been so diligently working to evolve beyond the grip of our egos and the old ways of living from fear and limitation generated by our thinking minds. Being in such a new place – this heart space – requires learning a new language and acquiring new tools to navigate the energies. For some, operating from the heart will be very new indeed and may take some time to practice. However, now, more than ever before, this will be critical, as we will be challenged to continue to see, relate and interpret things as we never have before – see from a truly new perspective rather than from old and comfortable filters, see from a deeper wisdom rather than from a fear-based past, and see from expansive possibility and beyond what we have historically clung to as our known, rational reality. How do we do this? By learning to See with the Eyes of our Hearts. It is a simple concept, but not easy to do. To explain more and guide you through this unique and expansive process, I have developed a technique that I would like to share with you. It is here both in a written and audio version. (*Click player at bottom of page for audio version.) It is my gift to you. Step 2. Now envision two big beautiful eyes on your heart. At first you may see them closed. Now see them open up. They open wide. They are big, bright and clear. Practice this until it is easy to do. Step 3. Next move your awareness so that you are now looking and seeing through those eyes, through your heart and out onto the world. It is as if you are transferring your literal eyesight to and through your heart – activating your Heart Sight. (Again, if you find you have difficulty with this step, cannot open the eyes or see through them, look for a strong emotion that may be clouding or blocking your view. Usually there is anger or hurt, a judgment or criticism or some suppressed emotion or unexpressed thought or feeling that needs your attention immediately. Step 4. Once you are able to really “see” through or with these eyes, notice what you see and how you are seeing it. How does your heart see? How does your heart see the world? How does your heart see you? What impression does it have? Is it different than how you see with the eyes in your head that process with your intellect? How so? Step 5. Now think about the situation or person that you would like to bring a new perspective to – perhaps the situation or person is challenging you in some way, is difficult or painful to you – Look and see that situation or person through those eyes on your heart. How does your heart see that situation or person? Do not force this – just allow whatever comes through your heart sight to be there for you to view or for the information to come in however it comes in. There is no right or wrong way to receive Heart Sight information. What does your heart want you to know about that situation or person? What message does your heart hold for you? What new information are you gleaning? What new understanding are you gaining? Notice how you feel as you see through this new lens. What feelings come up in your heart? What knowing will you take away from this experience? What new truth have you discovered? Once you open your eyes, and after you complete this exercise on your own, you can take a moment to jot this information down and review it. Remember, this is a process and may take time to learn to do. And you may not have the answers to all of the questions. That is fine. Just keep practicing and engaging. The key is to keep an awareness of these eyes on your heart – always seeing them big, bright, clear, wide and open – as they are the gateway for a new kind of information to flow in – the Knowing and Understanding of your Heart. This exercise is like very much like lifting weights – the more you do it, the stronger you become and the more powerful the exercise. I recommend you do it whenever you feel stuck in your head or find you are trapped in your thinking or at the mercy of your ego! As you practice this technique, you will feel your heart chakra or the energy of your heart activate. Your heart will open, energize and blossom. You will begin to see and feel things differently. Your world, your experience and your perspective will begin to shift. And, this technique comes with an added bonus, The more you practice, the more your heart remains wide open! And, as I always say, Abundance and Prosperity– that knowing that you always have everything you need – is directly connected to the openness of your heart! Thank you for your sharing. This is indeed a wonderful way to connect with yourself and then others in the Heart Wisdom. For those looking for a tool to assist in making such a connection, here is a link to my “Seeing Through the Eyes of Your Heart” visualization. “You have a nice site here”.